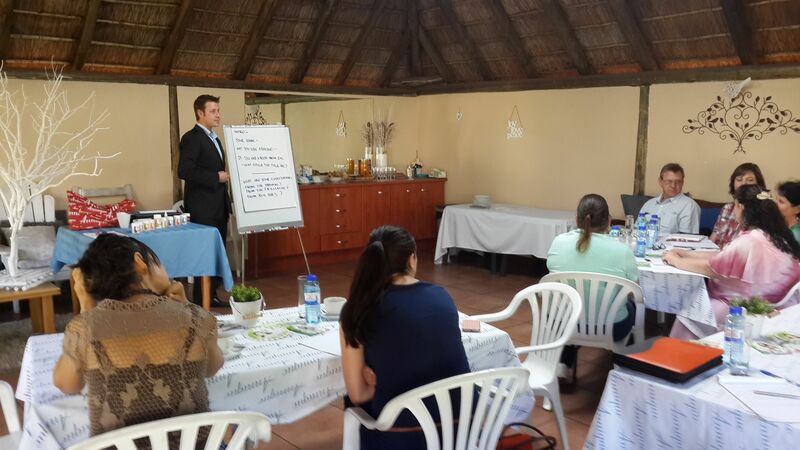 After much thought and great initiative, Annique Day Spa arranged that training be provided for consultants at the spa on Saturday 2 November 2013. The attendees are now competent in ‘safely and professionally recommending quality nutrition’. Life as we know it has come to demand explanations of why things are good or bad for us, and more specifically why we should include nutritional supplements as part of of our daily routine. It was time for us to call in a professional to teach us the ways of the human body and how it relates to the world around us filled with foods and poisons at the same time. That expert is Devin de Kock, founder and director of Balancing-touch, an accredited training-treating institution in developing natural health. The greatest part of the training was becoming aware of the dangers around us in our modern lifestyle as Devin explains : ” The food we eat is not natural anymore. As a result or the industrial revoulution, instant gratification, fast paced lifestyles, huge populations and a demand on natural resources, our food is dead and our water is deadly.” (Balancing Touch : recommendation of Quality Nutrition) Shocking facts were revealed, enough to put one off of eating for good, such as the fact that over 1000 chemicals are added to our food source every year and up to date contain 40 000 unnatural chemicals. It is because of our food and water quality being corrupted that more and more diseases are making themselves known among young and old in our country and around the world. Supplementing your diet with nutritional supplements are no longer an option but a necessity for us in order to stay strong and healthy enough to fight off these diseases. These training workshops, are just one of the many initiatives we at Annique Day Spa take to assist our consultants to be informed, professional and successful business people. With that in mind, such ventures and investments add to the fact that Annique offers high quality supplements at a reasonable price, and has dramatic proven results. if you are an Annique consultant (or would like to join) and are interested in attending Nutrition training, please mail us on : consultants@anniquedayspa.co.za or call us (012) 654 0602/7 or come visit us : 195 Constance Avenue, Centurion.